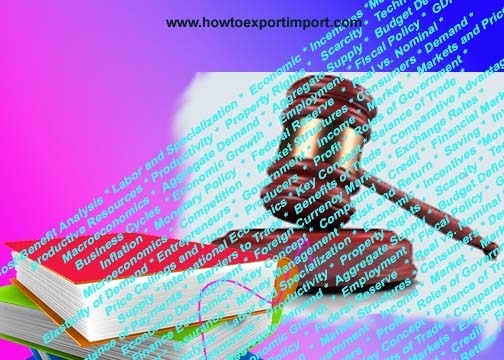 When the exporter is in need of funds, at the time of handing over the documents, he can request the banker to purchase/discount the bill and II allow the proceeds to be credited to his account. If it is a sight bill, bank purchases and if it is usance bill, bank discounts the bill. 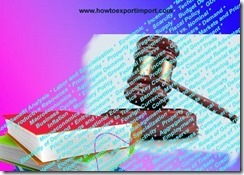 In both the cases, payment is made to the exporter, on presentation of documents. I Different terms 'Purchase' and 'Discount' are used, in separate contexts, to serve the 'same purpose. However, in case the importer fails to pay the bill, the exporter's account f will be debited. vijay kunapareddy: On 20 April 2017 Hi everybody, I am vijay, Director at lara exports company, we are exporters of Dry Red Chillies to Malaysia, Thailand, Singapore, Indonesia, Sri lanka, Vietnam, Mexico, China and other countries. Interested buyers please feel free to contact us at www.laraexports.com or you can whatsapp us at +91-91336-20218. Chandrika S : On 13 June 2017 I have few doubts and would highly appreciated if you could help me with your knowledge. A case : Order Value 100 USD Invoiced 100 USD Received 80 USD Balance not received. In this case, are we supposed to payback the benefits of indirect taxes taken ? B Case Order Value 100 USD Invoiced 80 USD Work carried out by my customer on our behalf 20 USD In this case, are we supposed to payback the benefits of indirect taxes taken ? C Case Order Value 100 USD Invoiced 80 USD Work carried out by my customer on our behalf with cost diff in that country 30 USD, instead of 20 USD. In this case, can we remit 10 USD to the customer and if yes how ? How to keep that account ? Sir, your valuable opinion in this case will help in understanding the repayment problems of the indirect tax benefit.